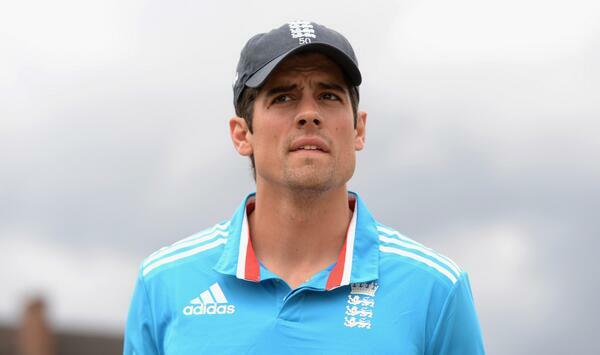 England captain Alastair Cook believes that his side have a great chance of winning the World Cup next year. Cook, 29, holds an ODI record of 86 innings, 3,085 runs, 37.2 average, 77.57 strike rate, with 137 being his highest score. The Essex man will have to be on top form if his side fancy a chance at winning the World Cup. England don't have any test matches before next year's tournament, only needing to play seven ODI warm-up matches with Sri Lanka that start on November 26th. Then, they face off with arch-rivals Australia and going on for a final two match pre-cup game against India in Brisbane. Cook added: "If we peak at the right time, I don't think anyone will want to play us." I wouldn't go as far to say England "will win" because they will have to go through stern opposition such as India, Pakistan, South Africa, West Indies to do so. However, if Cook chooses the correct team with good balance on the right crease, England could stun a few with a tremendous effort. Having said that, England have only won 18 ODI matches so far in 2014 - which is way below the target of victories. Things can turn around quickly, and with the Three Lions heading into some warm-up matches starting later this month, they could easily pick up their form and go into the tournament carrying confidence and momentum. Cook: "We haven't won over the last couple of series, so we have to improve, but it's not about a radical change of method." It will be interesting to see who the Essex-born cricketer selects to play in the World Cup tournament, so far he will be twiddling his thumbs with a wide selection but a choice of different in-form players for different positions in the side will become more clear once the Three Lions step into their pre-tournament matches. Something England need is confidence ahead of matches, something they had under Andrew Strauss and what Cook brings to the team now. He is optimistic and insists the right man to lead England forward is himself. If they keep this positive attitude and rack up a good few wins later this month and early next year, they can certainly win the World Cup. Do England have a realistic chance of winning the worldwide tournament next year - or will the fierce opposition be too much for the Three Lions?